The Gladers are now out of the mysterious maze from the first movie adaptation of James Dashner’s highly successful series “The Maze Runner.” In the second adaptation of the most-anticipated sequel of the young adult book of the same title, “Maze Runner: The Scorch Trials,” the Gladers are now out in a ravaged, burned out and broken down world racing through sandstorms, evading flares and battling terrifying creatures known as Cranks. “Maze Runner: The Scorch Trials” picks up where “The Maze Runner” left off, as the Gladers, Thomas (Dylan O’Brien), Minho (Ki Hong Lee), Teresa (Kaya Scodelario), Newt (Thomas Brodie Sangster), Frypan (Dexter Darden) and Winston (Alexander Flores) are unloaded from the chopper that flew them away from the maze. The helicopter’s doors fly open and masked soldiers whisk them into an underground bunker. The bunker is run by the duplicitous Janson (Aidan Gillen), who supplies a feast and warm beds, while warning, “The world out there’s in a rather precarious situation. Thomas suspects the bunker is run by none other than WCKD (World Catastrophe Killzone Department) and must convince the Gladers they aren’t safe here. Their loyalty to each other is all they can count on. The Gladers mount a breakout, fighting against soldiers armed with electric projectile weaponry. Led by Thomas and Minho (Ki Hong Lee), they grab Teresa from a private surgery room and flee the bunker into a raging sandstorm. They’re now in the Scorch, a futuristic badlands burnt by solar flares. In this barren wasteland, the Gladers trudge toward the unknown. A guilt-ridden Thomas wonders if he should have led them out of the maze. They survived in the Glade but could die in this area of scorched Earth. 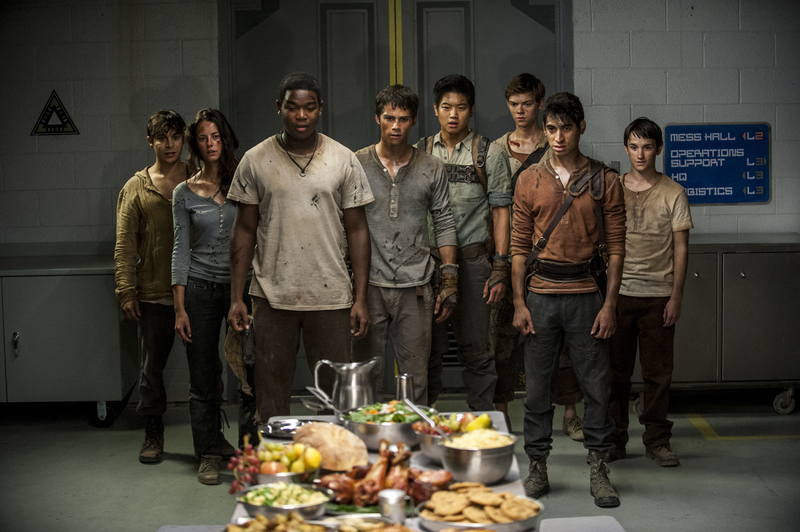 “Maze Runner: The Scorch Trials” answers many of the questions posed in the first film. The Gladers learn that most of the Earth has been destroyed, and that it was the ruthless scientific government entity known as WCKD that sent the Gladers into the maze as a survival challenge. They discover that some of them are immune to the fatal Flare disease that is ravaging the population. These Immunes hold biological enzymes within their bodies that may help others resist the Flare. ““The Maze Runner” was about claustrophobia and we were always closed in and never saw a horizon. But in this new film we go out into the open world with a giant desert of sand dunes swallowing the whole world basically,” says Ball. “Maze Runner: The Scorch Trials” opens this September 9 nationwide in Philippine cinemas (ahead of its U.S. release, September 18) from 20th Century Fox to be distributed by Warner Bros.